In a quest to find a conservative way to be “green” some politicians are compromising and signing contracts with non-governmental entities and accepting funding which ultimately bind cities, counties, and states to radical environmental policies. Many of us have voiced our opinions against cap and trade policies, plans to tax greenhouse gas emissions, forced reduction of vehicle miles driven, and release of dangerous wildlife into populated areas; yet regulations and laws continue to be forced onto us by leaders that may not realize they have unwittingly committed us to anti-Constitutional globalist plans. It is time to identify some of the sources of these policies. A pivotal point in history is the 1992 “Earth Summit” – UN Conference on Environment and Development. Organized by Maurice Strong, this event resulted in the creation of “Agenda 21” and the “Earth Charter”. Both documents are blueprints to control land use, decrease motorized transportation, increase wilderness areas, and force changes in communities to align with their beliefs in climate change and population control. Today many of the laws passed in Olympia and policies developed by cities are to align us with the Earth Charter and Agenda 21. Many Washington Cities and Counties are members of ICLEI – Local Governments for Sustainability, a non-governmental organization whose primary goal is to assist local governments to conform to the goals of Agenda 21 and other United Nations mandates. Membership to the Mayors Climate Protection Center is another method that bypasses normal international treaty laws and forcing cities and counties to follow the Kyoto Protocol. Washington State citizens should strongly lobby their parties, politicians and government bureaucrats to walk away from their association with ICLEI, the US Conference of Mayors Climate Protection Center, Agenda 21 and any funding sources that commit us to those plans. “Think global, act local” is a mantra of the U.N. program called Local Agenda 21 (LA21). ICLEI (International Council for Local Environmental Initiatives), also called Local Governments for Sustainability, developed and proposed the LA21 concept and campaign, which is endorsed in chapter 28 of the U.N. Division for Sustainable Development plan called Agenda 21. Spokane is a dues-paying member of ICLEI. In 1992, ICLEI helped write the U.N. 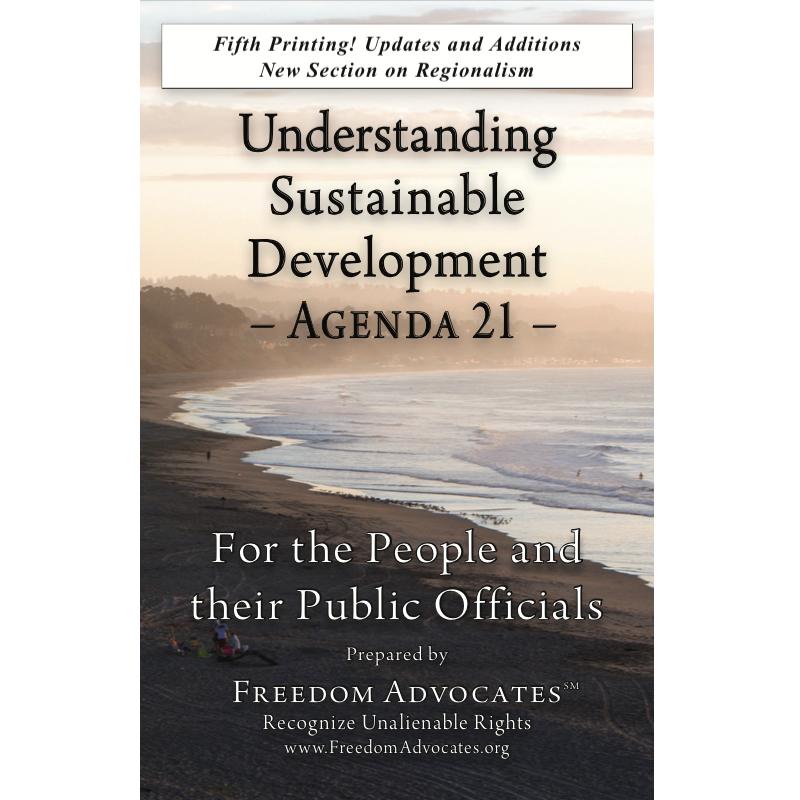 Agenda 21 plan for sustainable development. Leo Jack Fagan’s May 4 letter is correct that Spokane is following a U.N. plan. Well-meaning citizens may think the measurement of greenhouse gas emissions that were evaluated in Spokane by ICLEI computer toolkits is all about achieving a green environmental agenda. However, the real green agenda will be to control your energy use based upon taxing/penalizing greenhouse gas emissions.